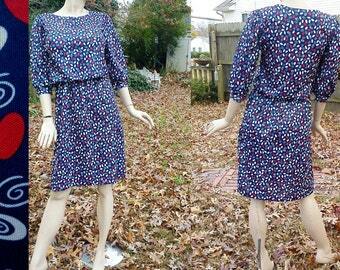 Fun, multi pattern 70s dress by Mavinette. 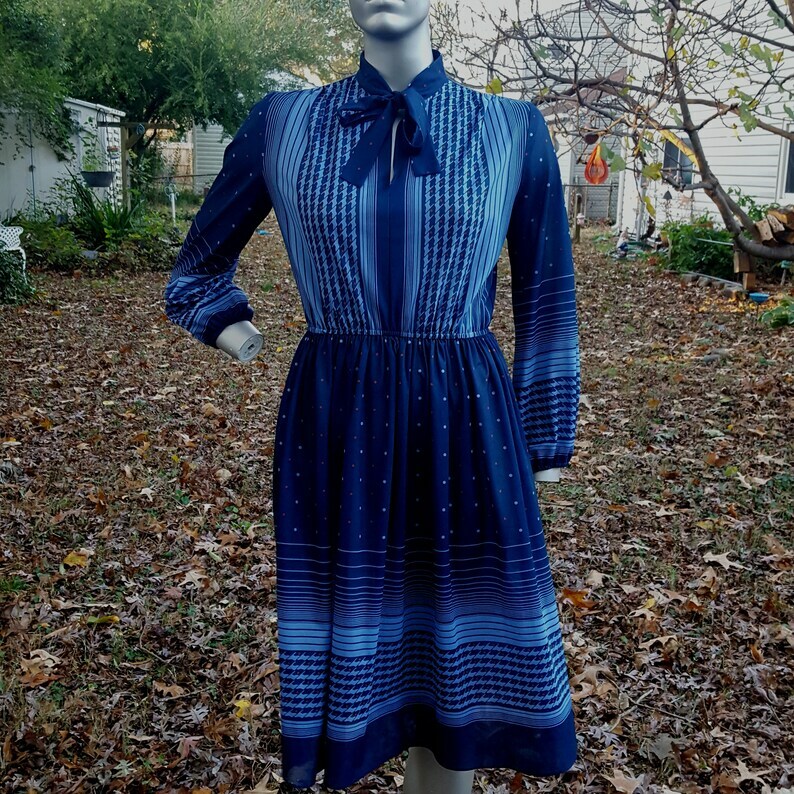 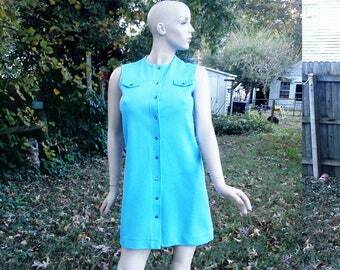 This blue and red vintage dress has stripes, houndstooth and polka dots! 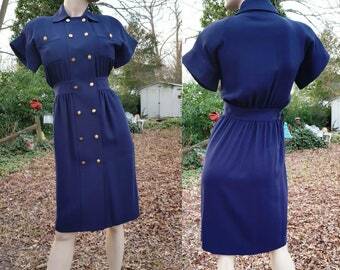 Long sleeve dress sports a jaunty necktie and elastic waist. 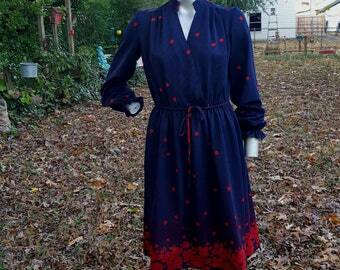 Care tag says hand wash, but I would be tempted to machine wash on delicate.